Preserved at Neighbor is the idea that two business can align and bring each other the help they need to grow. Elizabeth V, the owner of Preserved, was working at Neighbor during the holiday season in order to gain retail experience. At the time she was actively looking for her own storefront and the experience was proving to be costly and difficult. — Neighbor co-owner Dana Olson. 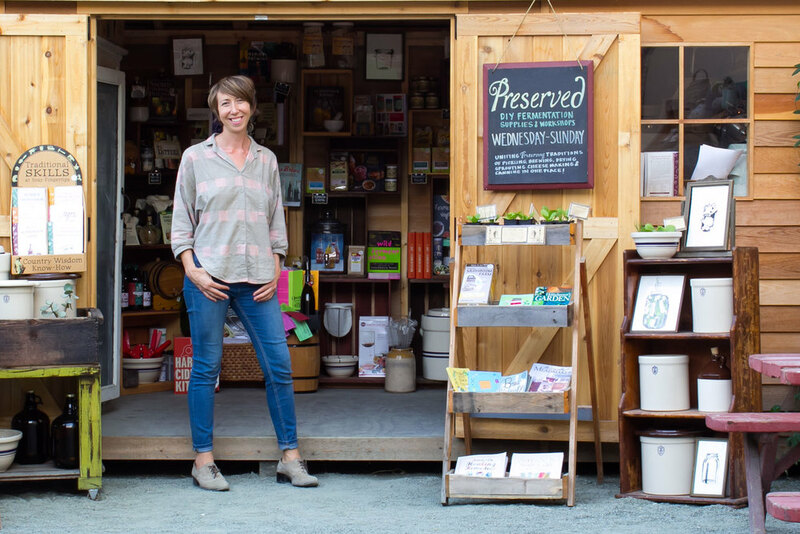 PRESERVED is a specialty retail store focused on traditional methods of preservation. They feature affordable classes and do-it-yourself supplies for canning, fermenting, cheese-making, brewing, herbal medicine and more. 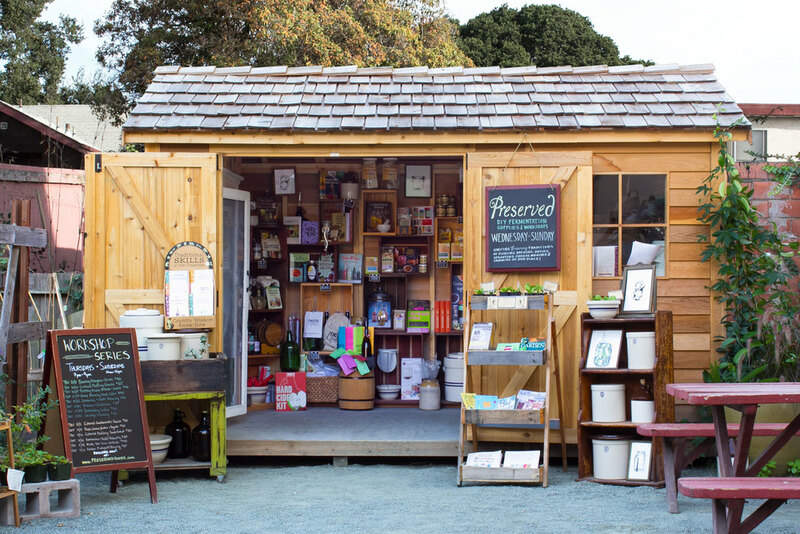 Preserved also provide a community-oriented space to learn, share and shop for healthful products to enrich your pantry. You can find Preserved's shed out in the backyard of Neighbor.